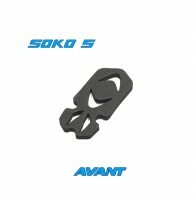 The AVANT Devel 2.5 is a lightweight 2.5" Stretched X designed to support the Runcam Micro Swift or any micro camera with 18.5-19mm mounting pattern. It features a solid "Chamfered" 3mm unibody 3K twill weave carbon fiber main plate cut in 45 degs , 2mm top plate and camera mounting plate for simple construction and durability. Plenty of room for clearance between camera and flight stack. 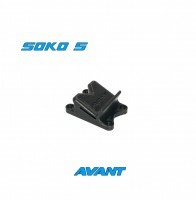 The kit comes standard with 25mm standoff and camera plate. 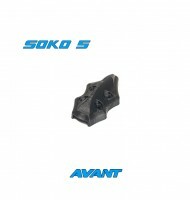 Optional 22mm low profile kit is also available. Motor to motor length is at 127mm and is designed to support any popular 1104-1106 motors with mounting pattern 9mm x 9mm and is capable to spin any props up to 65mm in diameter. Air frame weighs 24g. "Free DHL upgrade will be offered when puchasing (any 2 frame kits), Please choose standard shipping USD5.00 when proceeding checkout"
"We are offering 40% off for the replacement parts if breakage occurs"
Click the button below to add the Devel 2.5 (3mm Unibody) to your wish list.